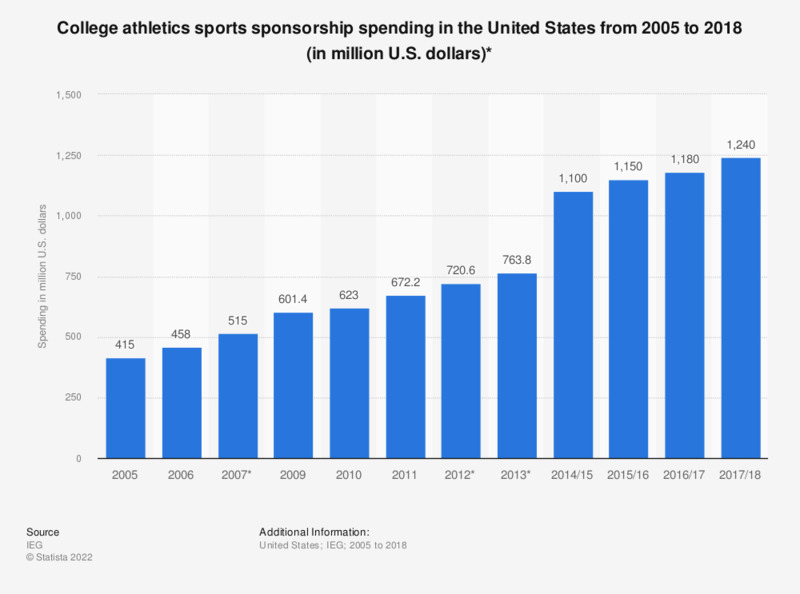 This statistic shows the college sports sponsorship spending in the United States from 2005 to 2018. In 2017/18, college sports sponsorship spending amounted to around 1.24 billion U.S. dollars. * Information was taken from more than one release of the source. No data was provided for 2008.